GEORGE TOWN: The Botanical Gardens in Penang is well managed and there have been vast improvements. It receives an estimated 1000 visitors per day and is regarded as one of Penang’s many tourist destinations. Many visitors to Penang have remarked how noticeably cleaner the state is under the Penang Government. “This goes to show how serious the Penang Government and MBPP are when it comes to protecting our natural treasures and prioritising cleanliness,” said MBPP Councilor Syerleena Abdul Rashid. Syerleena, who is also DAPSY Bukit Bendera Secretary and DAP Wanita Bukit Bendera Political Education Director, was commenting on Penang Wanita Gerakan acting chief Hartini Tan’s statement on June 23 which allegedly aimed to discredit the management of the Botanical Gardens and the Penang Government. Gerakan, she reminded, has been targeting the MBPP and the Penang Government in the past few months. “It doesn’t come as a surprise that the party would go as far as reporting this as news.” Upon further investigation, she added, “we have ascertained that this allegation, like others made by Gerakan in the past, are baseless”. 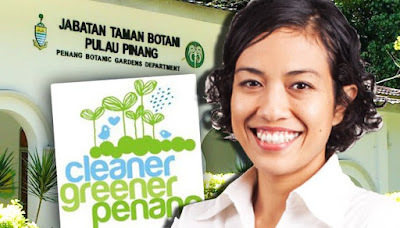 It is obvious that Gerakan was trying once again to paint the Penang Government in a negative light, she reiterated, by using Botanical Gardens as a “scapegoat” for their propaganda. Under the Penang Government and MBPP, vast improvements have also been made to the existing Youth Park which is now a model for other Local Governments to learn the “ins and outs” of establishing and creating parks, she pointed out.